Enjoy amazing fares to Singapore, Osaka and more with Jetstar 12.12 Cyber Sale. Book flight from as low as Php1,600 one-way with this latest seat sale. Here’s a sample booking for Clark to Singapore flight. Fare is as low as Php1,600 one-way. Promotional fare is also applicable for return. 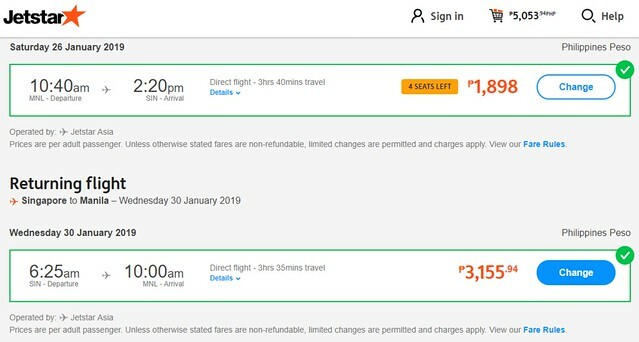 Roundtrip flight is for as low as Php5,007.94. Here’s a sample booking for Clark to Osaka flight. Fare is as low as Php2,998 one-way. Promotional fare is also applicable for return. Roundtrip flight is for as low as Php7,410.57. Here’s a sample booking for Manila to Singapore flight. Fare is as low as Php1,898 one-way. Promotional fare is also applicable for return. Roundtrip flight is for as low as Php5,053.94. 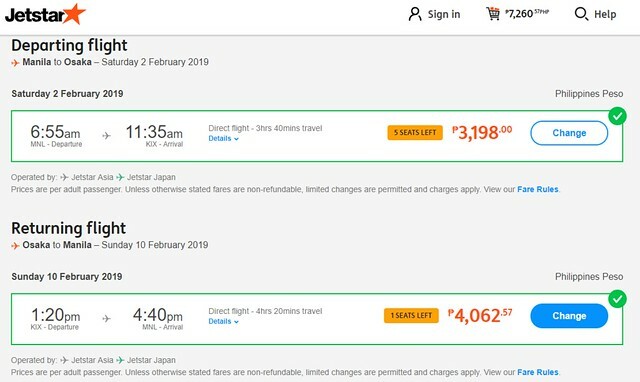 Here’s a sample booking for Manila to Osaka flight. Fare is as low as Php3,198 one-way. Promotional fare is also applicable for return. 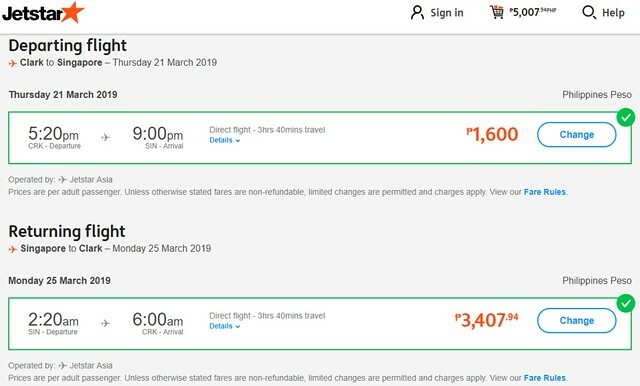 Roundtrip flight is for as low as Php7,260.57. Visit the official website of Jetstar to book your flights. 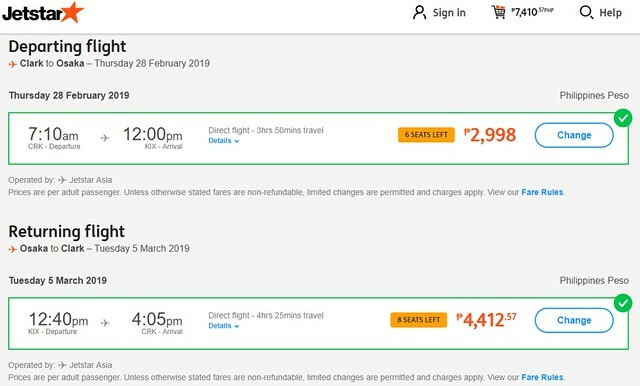 You may also find and compare cheap flights by visiting these websites – Skyscanner, Momondo or by using the flight search below.